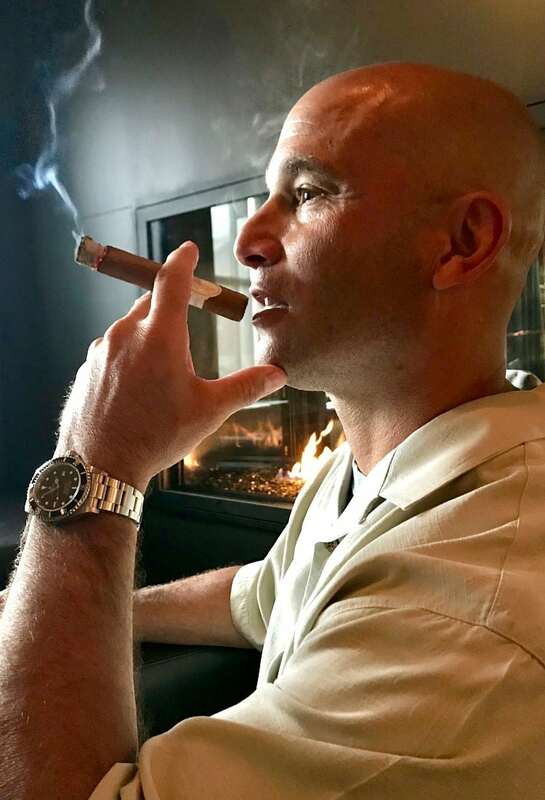 There are a lot of things I do with friends and there’s a whole lot of stuff I do with family but there are a few things I like to do with just me myself and I like Hanging at the Cigar Lounge. Sometimes it’s a baseball game, if no one wants to go, that’s not the end of it for me, I’ll go by myself. Another might be seeing a band I like to watch; one that I’ve been going to for years. No one is up for going out? I’m heading out the door. I guess some people think it’s weird, but I’ve never minded doing things by myself. If I want to do something or go somewhere, I don’t need company, I’m just going to go do it. A favorite summer passtime is hanging out with friends, preferably outside, drinking bourbon and smoking cigars. 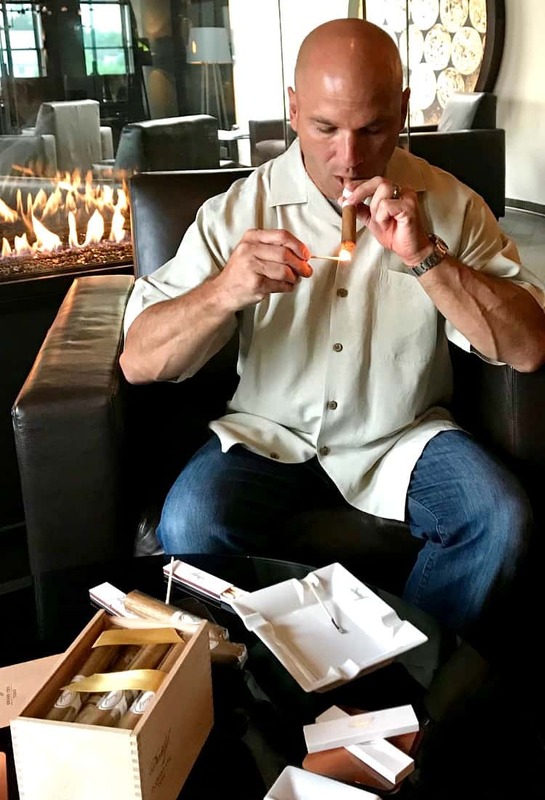 I’m not an all-the time-smoker – I think you could call me a party smoker – because that’s really the only time I bust out the cigars, but when I do…it is a party. I found a great place online to order quality cigars from, Holt’s Cigar Company. They’ve got everything you’re looking for from your everyday bargains to your high-end special occasion cigars. Well, for me a $20 cigar is a special occasion cigar, but maybe your budget is bigger than mine. And if it is, Holt’s has got you covered. They’ve also got every type of cigar accessory you’ll ever need for your cigar enjoyment from lighters to humidors, ashtrays and even T-shirts. So Holt’s is also like a one-stop shop for yourself AND if you need a gift. I know I’m bookmarking a few of these cigars and humidors…there’s a whole Pinterest board worth of stuff here. 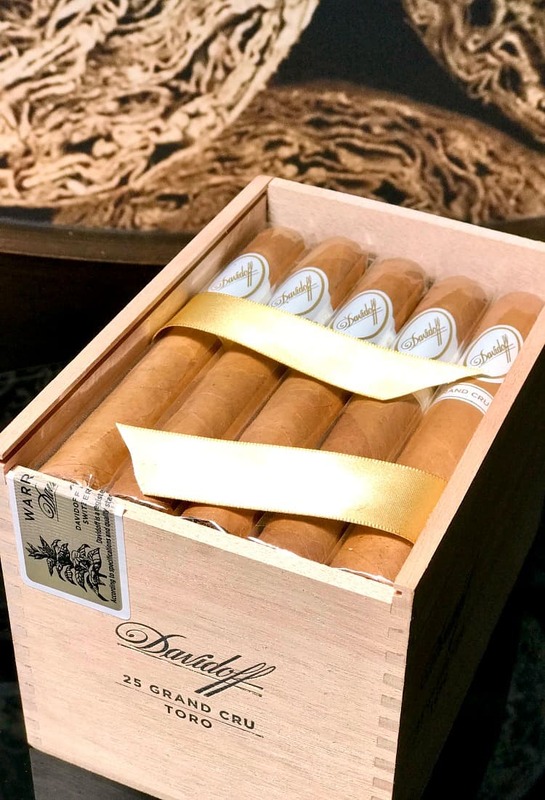 One of my new finds when I was shopping online at Holt’s were these Davidoff Grand Cru cigars. I’ve heard a lot about them and decided that for Father’s Day, I’m going to splurge a little and grab a few of these for myself. Father’s Day came early for me when my package arrived and off I went. Where? I had no idea. It was a nice day and I needed one of those “by myself” days so I grabbed a couple of my Davidoff cigars and went on my way. Just had to find the right place to hang out and enjoy these cigars all by myself – and I found the best spot. This cigar lounge was practically empty. Yep, it was a Friday like right in the middle of the day but still, if I had a place like this by me I think I’d be enjoying a lot more cigars. 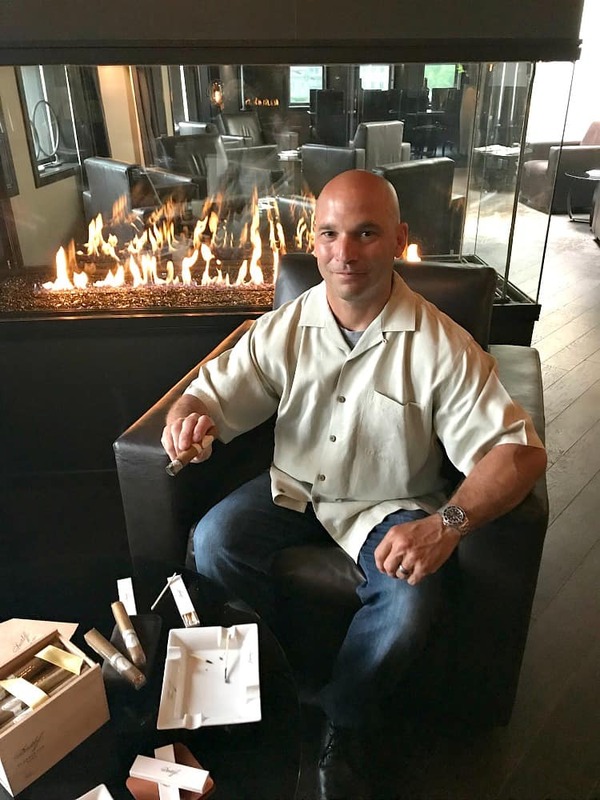 Holt’s is a great online retailer but they do have a few retail stores, too, where you can find cool cigar lounges like this one. This one in Philly is the closest to me, so it’s going on my travel list for Summer! 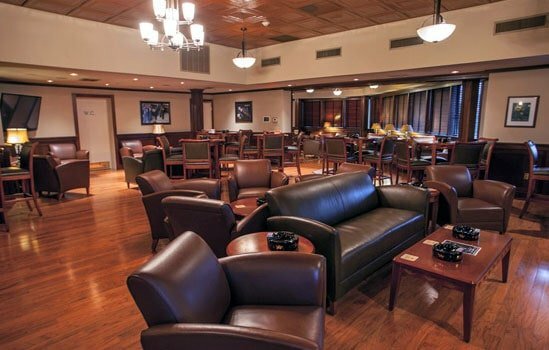 You can buy your favorite cigars and head right back to their cigar lounge, with or without your friends! Don’t be afraid to do the solo hang out. Sometimes it’s just what you need. This day was just what I needed. A relaxing afternoon smoking a couple Davidoff Grand Cru cigars, which are now a new favorite of mine…I’ll be ordering a few more of them ASAP. These cigars make great gifts, like I mentioned, but also grab a few for yourself. Davidoff Grand Cru cigars are made in the Dominican Republic. 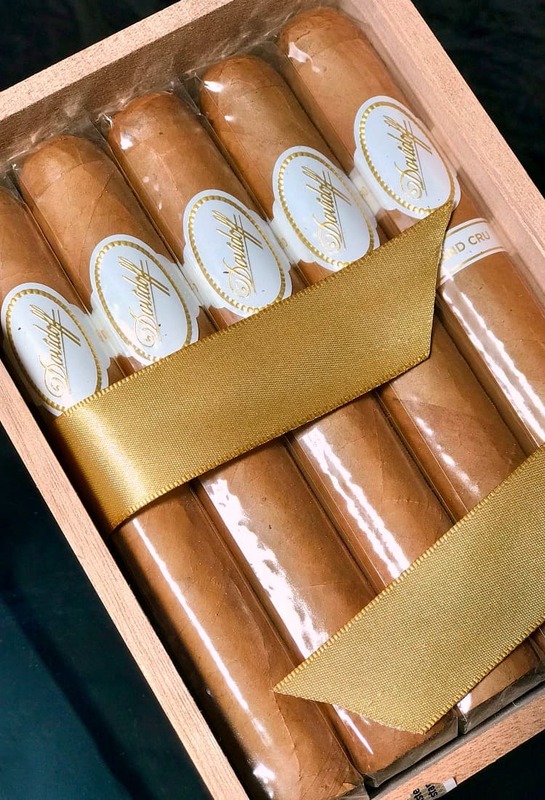 They have a blend of aged Dominican tobaccos and an Ecuador Connecticut wrapper which makes for a very rich cigar with a smooth delivery. These cigars fall into the mild category, which I’m finding is the right area for me to be in since most of the cigars that I prefer are in that range. 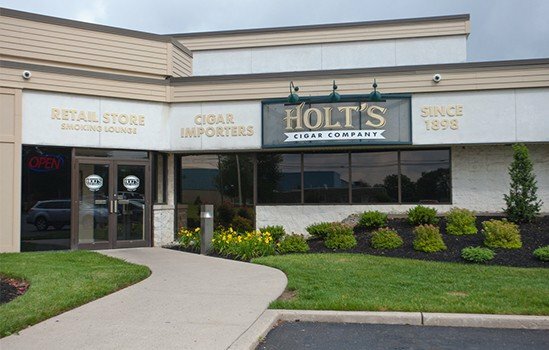 Make sure you head over to Holt’s Cigar Company, and check out their amazing selection online! Or if you happen to be on the East Coast and want to have your Hanging at the Cigar Lounge day, let me know. I could make that a day to hang out with friends!